Well, we don’t have rain here today…but I’m hoping any day now! I love a good spring shower. Here is a drawing of what COULD happen on a rainy day…with a little imagination! 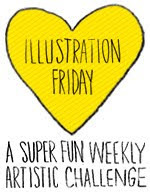 Join me at Sunday Sketches! This is a fun way to think of rainy days! And love how the ladybug is going along for a ride. I love your colorful and whimsical style. 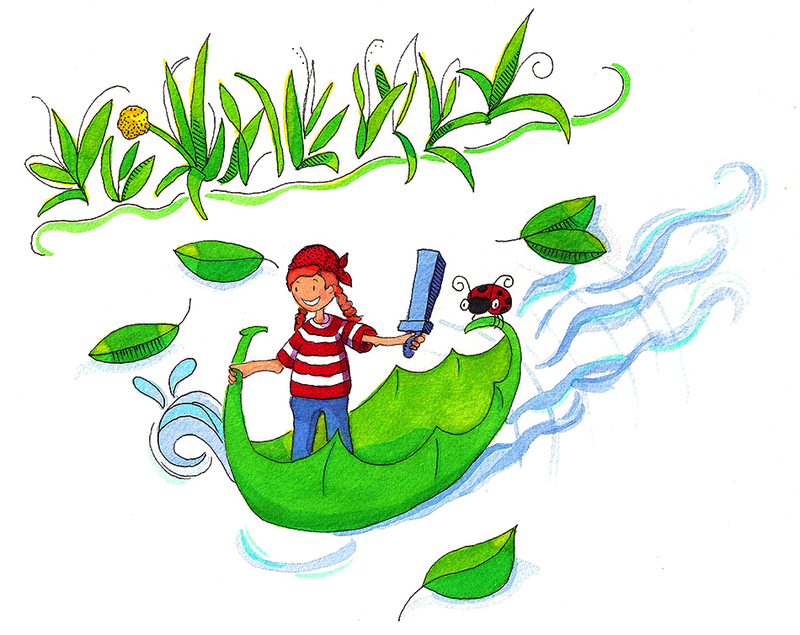 The little girl sailing away in her imaginative leave boat is precious. Happy Sunday Sketches! How adorable! Such a fun illustration! I love this sketch,,the leaf for a pirate ship,, the lady bug and the sword,, perfect! So cute. Reminds me of a little boat and person you'd find in a lego set. For illustrating, I use micron pens (.005, .01 and .02) are my favorites. I've also discovered Uniball (micro) work really well, too. I can buy a box of 20 Uniball pens for the price of a few microns!! Both are waterproof so work well with paint. You're the only person I know hoping for rain - I wish it would stop! I love this wee illustration though - really whimsical and imaginative!